In this transition, there is a line that we must not cross, lest we want children to follow us instead of capable, empowered adults. That line is drawn at what is colloquially known as mothering, but is really just micromanagement, or hovering. Yes, you want to support and encourage the growth of those around you. Yes, you want to meet their professional needs and allow them to meet yours where they are able and desiring. You do not want to coddle them, holding their hand through every step of the process. It is your job, as a leader, to instruct those who choose to follow you, or those you hope to inspire to follow you, and to be clear in those instructions, but it is also your job to recognize when they no longer need hand-over-hand or step-by-step instruction and to allow them to do it independently. In fact, THAT is mothering (or fathering). All parents know this experience, and non-parents have probably heard about it. 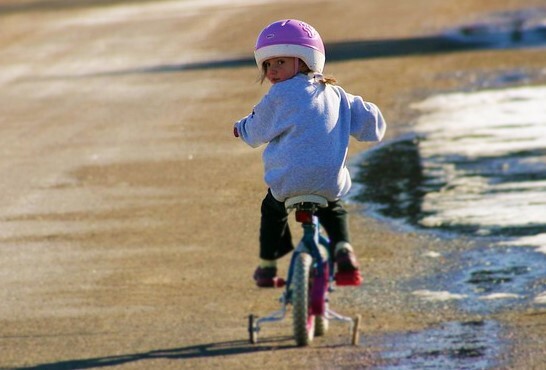 The first time your child is riding a bike, you support them while they find their stability and confidence but eventually you have to let go. You have to stop holding them up and let them ride away from you. Sure, they’re probably going to look back to make sure you’re still there, and you will be. You’ll be giving them signs of encouragement and a beaming, proud smile while your insides are knotted with fear that they will fall… and they will fall, and you will dust off their scratches and reassure them. Part of fostering growth in people, whether they are your children, employees, or others who look to you for guidance, is giving them the confidence to do things on their own. You do that by teaching them well and then showing that you have confidence in them. When they fail or their confidence falters, you’re there for them to look back at, giving signs of encouragement. If they forget how, you’re there to remind them. What you aren’t is directly over their shoulder waiting to catch them when they fall, because that shows them that you do not believe in them and prevents them from learning from their own mistakes. I won’t nitpick the term mothering, because I know the meaning is about over-protection, micromanagement, and hovering, not about those profound moments of leadership all successful parents go through. I will say, I hope more leaders will model themselves after those moments instead of falling prey to their own worry that their followers and fellows will fail. How do you let go? What do you need to see in a person before you are able and willing to let them try on their own? Let me know in the comments!